Finish your quilt top on one of our Babylock Crown Jewel longarm machines! Click "Next". You will then proceed to PayPal to complete the payment process. If you wish to purchase product online but pick up in the store, follow the same procedures as listed above. However, if you wish to have items shipped, shipping charges will apply. (See Shipping & Policies for rates.) At that time, you can enter a separate order or we will apply the shipping charges in PayPal prior to shipment. Students must register for all classes in advance. If you do not wish to register online, please call the store to reserve your spot. This helps us to plan and staff each class accordingly. Full payment for class is due at time of registration. Classes may be cancelled if a minimum of three student enrollments is not met. Class fees will only be refunded if Sew Fabricated is notified within 48 hours prior to the scheduled class. In the event of cancellation by Sew Fabricated due to low enrollment, you will be given the choice of picking another class, being issued a store credit, or given a refund. Please turn off all cell phones during class in consideration of the instructor and fellow students. If you must take a call, please step outside the classroom. All food and beverages MUST be kept in the dining area. Please let us know if you have any suggestions for future classes. 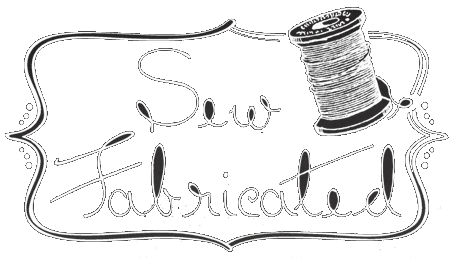 Are you interested in teaching at Sew Fabricated? Give us a call at (817) 795-1925!